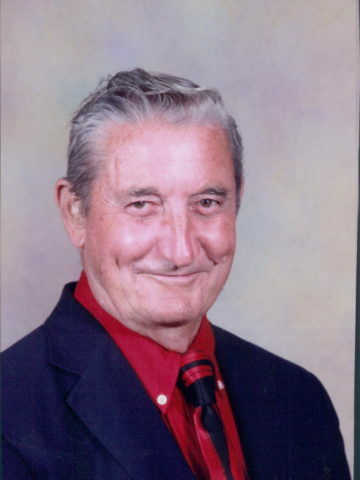 Morris Melvin Washburn- Age 84, passed away May 17, 2018. Melvin retired from the Madison Mill and attended First United Pentecostal Church. He is preceded in death by his parents, William H. and Docia E. Washburn; brothers, Donald and Emmett Washburn. Melvin is survived by his wife of 52 years, Barbara Washburn; sons, David (Jan) Washburn and Dennis Washburn; several nieces, nephews, and extended family members. A Celebration of Life will be on Saturday, May 17, 2018, at 12:30pm, at First United Pentecostal Church, 7512 Charlotte Pike with Pastor Ron Becton and Bro. Roy Duke officiating. Interment will follow at Harpeth Hills Memory Gardens. Visitation will be on Friday from 4:00pm until 8:00pm, at West Harpeth Funeral Home, then again on Saturday from 11:30am until 12:30pm at First UPC. Rest In Peace Uncle Melvin.